I was born on the breathtaking Magdelen Islands and have spent most of my life from early childhood onward in Montreal. Having spent all my summers with my father on the islands, in 2011 I decided to get back to this little paradise to reconnect with my roots and make it my new home. I find these small and unique islands soothing for the soul and a great source of inspiration. For as long as I can remember, I have been creating art. After having trouble finding my place in the world for the first few years of my life as a young adult, I went back to school in my mid-twenties and completed my Bachelors’ of Art Education at Concordia University in 2011. 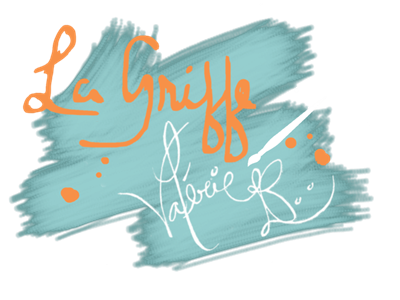 As much as I love teaching, when I am creating is when I feel the most fulfilled which is why I have decided to go after my dream by opening my art gallery “la Griffe”. Being a very expressive and intense individual, art has always been my best outlet. I struggled for a long time to find my place or genre. The dichotomy of my personality leads me to transform my emotions into something abstract, expressive, textured and uncalculated, almost like a dance. The other feeds my perfectionist and meticulous side, pushing me to create more realistic works. This resulted in an incoherence when going from one piece to another during my first few years of dedicated creation. In 2009, I finally began to feel whole as an artist, merging all of these attributes together into my pieces. I have since been experimenting with the blending of two very different styles where portraiture and the human figure meet abstraction and texture. I am constantly trying to push my own limits by reaching inside my soul and emotions to express with passion I can draw from within.